Current dues are $200 per year but may go up to $225 within the next year. First American has provided preliminary title report from 3/2012 and which listing agent can forward to agents. Exterior Features Absolutely BEAUTIFUL incredible, dramatic views from one acre parcel located on private road. Property is on makai side of street so SSPP lines will never interfer with BIG VIEWS. Additional Features and Amenities Miloli'i Beach Lots is located in South Kona with ocean front private subdivision 5.6 acre park. Area is well known throughout state for outstanding big game fishing, fun snorkeling, and primo whale watching. Small county boat launch available at Miloli'i Village. Active HOA has website on line at www.milolii.org with information. 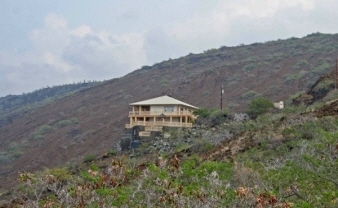 Popular place for both winter snowbirds and Hawai'i Island residents to own 2nd homes or use as full time residence.